Samsung -- still reeling from its fire-prone Galaxy Note 7 smartphone -- is recalling almost 3 million washing machines because they can explode. 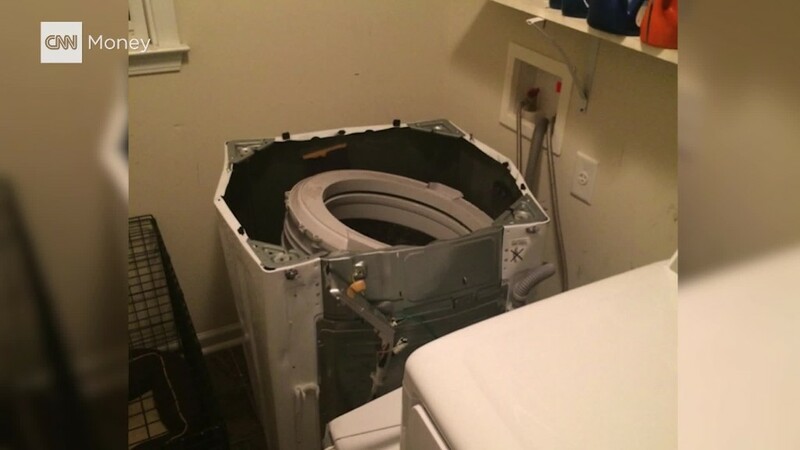 Samsung Electronics (SSNLF) and federal regulators announced the recall on Friday after reports that the lids of the machines can pop off violently while the laundry is spinning, posing an injury risk. Samsung was hit with a class action lawsuit over the machines in August. 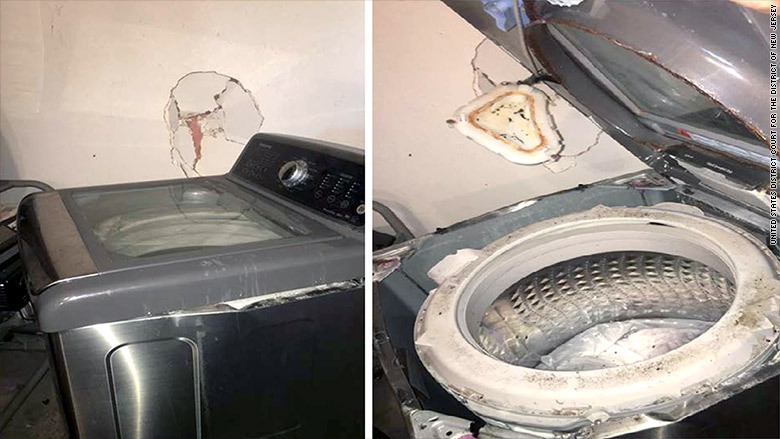 A customer in Texas said her washer "exploded with such ferocity that it penetrated the interior wall of her garage," according to court documents. In September, the CPSC told customers to "immediately stop using and power down" the Galaxy Note 7. The FAA told travelers to turn off their phones when flying, and the New York City transit system said to turn them off on trains and buses. Samsung is recalling washing machines after reports that some of them have exploded.